FYI: The poo-flinging is over for the moment and they’re all taking vacations they planned back in February. I don’t get vacations, but I’m taking one from the blog. I’ll be back on Monday to discuss Hillary’s supposed concession on Saturday. Also, VeepsBlog puts Big Brown at 3-1 at Belmont Saturday afternoon. 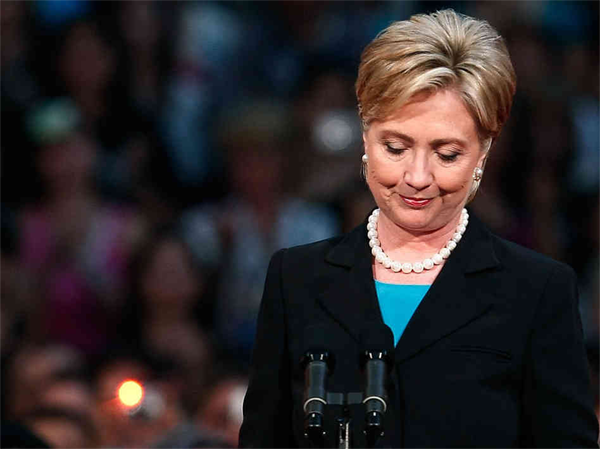 They couldn’t stop the war or impeach the President, but the singular accomplishment of the 110th Congress may have just happened today, when Hillary Clinton finally acceded to the entreaties of 23 of her exasperated Congressional colleagues–all Clinton supporters. She may not have cancelled the bumper sticker order yet, but Senator Clinton has tentatively agreed to fold the tents and start her summer vacation on Saturday. We’ve heard this before, but only the heartiest soul can resist the smelling salts for so long. A Clinton is more durable than cockroaches and Don King’s hair. As I said here four months back, though, that at some point a sober awareness of legacy and professional mortality has to kick in. I thought that would have happened in March, and she’s incinerated a few handfuls of villages since then, but it’s not too late, and she has to see that now. Right? Doesn’t she? I’m through making bets, because if I’d been placing money on this I’d be lining up in the mornings to give plasma to supplement my already-meager income. I’ve bet unsuccessfully on this woman’s end so many times already that Bob Shrum would hire me. “That makes sense,” she finally relented, and after a number of meetings with her supporters, she decided to drop the envelope on the Democratic Party’s desk before someone had to call the security guard to stand by while she gathered her personal effects before escorting her off the premises, which would have been awkward for everyone–and given the volatile nature of the last few months, there was a very real fear that she could have marched in with a duffelbag full of AK-47s and anti-personnel grenades, and take the whole party off to Hell with her. She hijacked Obama’s victory party last night by demurring on a concession, and even going so far as to burying her followers in a New York City fallout shelter two stories deep without television, cellphone, or Blackberry reception so no one would be able to see Barack Obama go over the top in delegates and become the party’s presumptive nominee. The only thing missing was the HAM radio and the men in beards and fatigue jackets standing with shotguns guarding the larder. Then she played coy about her future plans and invited the chants of “Denver! Denver! Denver!” One couldn’t help but have visions of the Japanese soldiers who were alleged to be living in caves in Iwo Jima still ready to fight World War II years after the Empire’s surrender was signed on the USS Missouri. She’s going to fight this thing through Inauguration Day–2013. She was desperate and dug in with her carbine on a night that should have belonged to Barack Obama clearing the delegate threshold and being the first black man in the nation’s history to win a major party nomination for President Of The United States. It was a spectacularly selfish and standoffish gesture from a woman who has become spectacularly selfish and standoffish. Why she came to her senses today is anyone’s guess, but blessedly she did. This was only hours after she floated her magnanimous offer to be Barack Obama’s Vice Presidential running mate if he were so gracious and flattering as to offer it. And just to make sure that he apprehended the fact that she had 18 million voters she was sure she could send over to John McCain if she didn’t get her God-granted consolation prize, longtime Clinton attorney/diehard Lanny Davis started circulating a petition today to make sure that he didn’t get some silly idea as to tap that portly Judas with the doofy-looking hipster beard, Richardson. I’ve been wondering for a few weeks now if she doesn’t have the right of first refusal on the Veep nod given her narrow margin of defeat. Her stubborn last stand last night put Obama in a difficult spot, I thought, what with her massive support base, but I think I was dizzy from lack of sleep. He’s going to tell her to pound it and court her voters without her if she tries to force the issue, and with a few exceptions, it’s likely to turn into a “Yeah? You and what army?” moment, as the batallion vanishes behind her. Another wrinkle was added today when there were comments from both campaigns that not only was the Obama team not only cool to bringing Hillary to the ticket, but that the Clintons would surely balk at being asked to open Bill’s full financial records, including the donors to his Presidential library. There’s a huge pile of philandering supermarket magnate and alleged fellow Bill poonhound Ron Burkle’s dollars there, and who knows what else. In any case, it’s time to hang it up and call it a day. It’s not too late to do the right thing. She can bow out now and embrace the winner and a month or two now when the Dems are all united, pummeling John McCain and fending off the relentless “Obama-is-a-Muslim” 527s, all anyone is going to remember is that she fought hard and bowed out graciously. Could it be so? Friday’s a long ways away, and you’ll die if you try holding your breath until then anyway.